If you’re traveling this May, or even if you’re just staying put, check if your city is participating in the International Museum Day. Celebrated in May 18 every year, participating museums all over the world either have an event scheduled on that date or a series of events held around that time. For some participating museums, they hold an open house, wherein admission fees for the museums and exhibits are waived. This is awesome news for all budget travelers. I was lucky enough to be in Singapore last year, where there are over a dozen participating museums. I was only able to visit two though, the Peranakan Museum and the National Museum of Singapore. Getting into the National Museum for free was a great treat — I was able to experience two of their exhibits for free as well! If you’re in Singapore, mark May 23 in your calendars, because that’s the date of the IMD 2010 Open House Day. 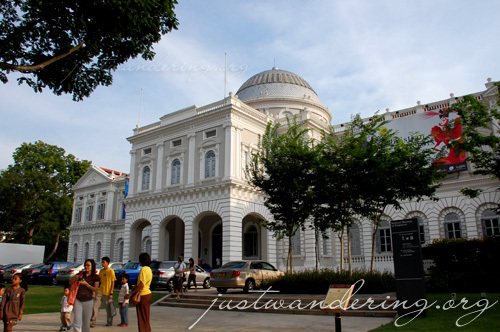 Among the participating museums in Singapore are the Asian Civilisations Museum, Malay Heritage Centre, Peranakan Museum, National Museum of Singapore, Singapore Art Museum and the red dot design museum. In Japan, the Tokyo National Museum will have free admission to regular exhibits on May 18, while in Hong Kong, a huge number of museums will have free admission on May 15 and 16 except for the Antiquities and Monuments Office, Central Conservation Section, Hong Kong Science Museum Special Exhibition Hall and the Stanley Ho Space Theatre. For a complete listing of participating countries, visit the International Museum Day page at the International Council of Museums website. Nice! Are you visiting any museums in your area (or traveling to any)? I haven’t been checking the local events here, but I will, thanks to this post.